Finally! Cleveland had some weather this week that made me think that spring/summer was indeed imminent. We sure had to wait for it this year! 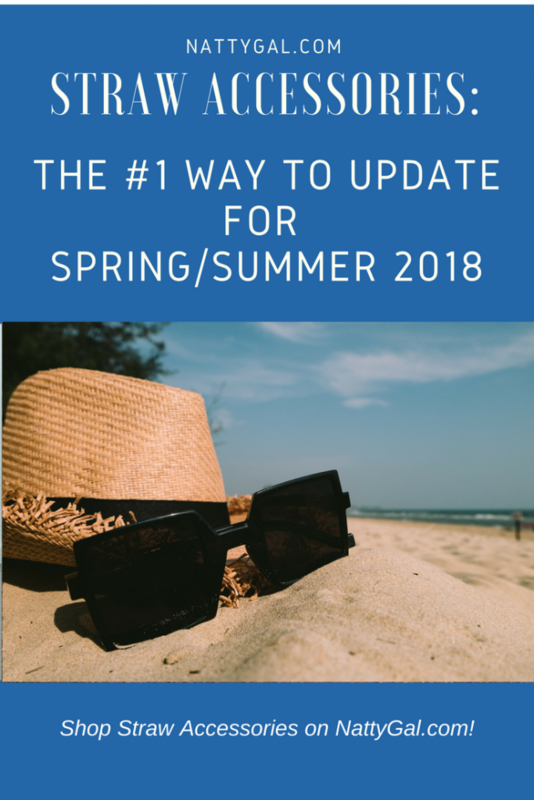 But now that it has finally seemed to arrive, I’ve been thinking about quick ways to update outfits for spring and summer. Straw accessories are at the top of my list! 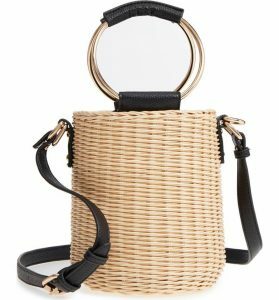 Adding a straw bag to your wardrobe is my #1 way to give your outfits a quick update for spring and summer! In many cases a straw bag is a budget-friendly addition and can be suitable to a wide range of styles….preppy, boho or romantic. 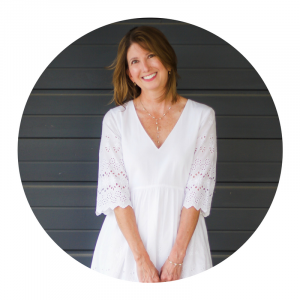 While I’ve shown mostly neutral options that offer tons of versatility in this post, straw accessories are also available in a wide range of brights, if that is more your style! This Malibu Skye bucket bag with a ring handle was one of the first bags to really catch my eye because of it’s super-interesting shape. So cute for drinks by the water! 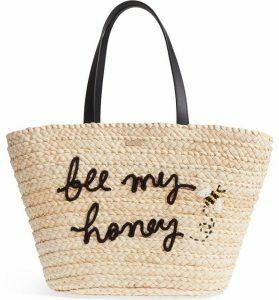 For a casual look with a bit more storage, I like this Kate Spade tote. If you want to get in on the straw action but need something a bit more structured for your office, this Forever 21 handbag is a steal at $25! Have your handbag and want to take things to the next level? 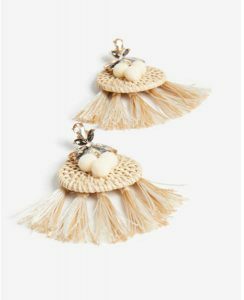 Check out these straw tassel earrings from Express! Would love them paired with an all neutral, cream ensemble. Do your skin a favor and add a hat to all your summer outfits! 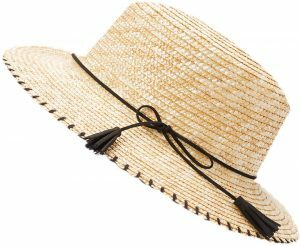 This charming natural and black boater is just $20 at Zulily. 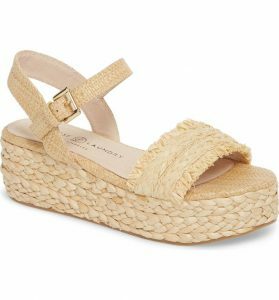 Show off your happy feet in Chinese Laundry straw espadrilles! AHHH!!! These pieces are absolutely adorable! 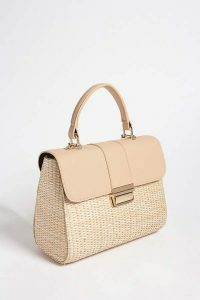 As soon as the weather starts to warm, I gravitate toward straw anythings:) So cute! Thanks so much, Laura! I agree, straw = summer, patios and music filled nights. Have a great week! These are all cute straw accessories! Those tassel earrings are so pretty and perfect this season! I know what you mean! 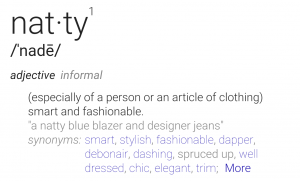 As soon as I finally decide to toss something it seems like that exact item comes back into vogue. 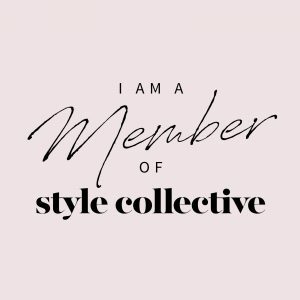 Thanks for hosting the link-up and for stopping by!